Cincinnati have failed to record a playoff victory in five consecutive appearances, but it could be argued they are a stronger team than Houston, who somehow lead the AFC South with two games to go. 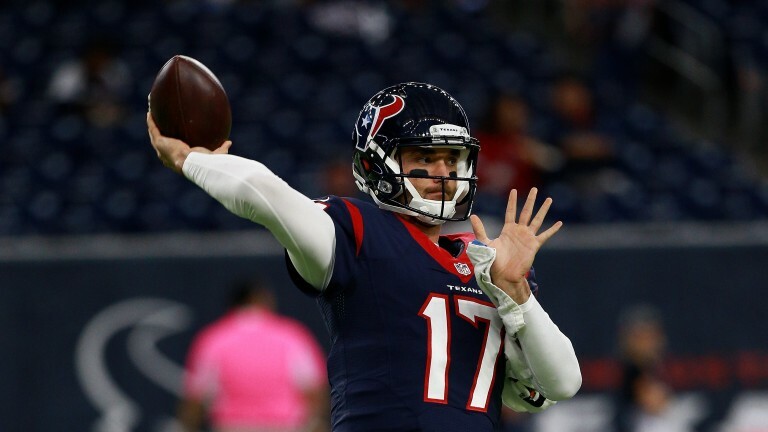 The Texans have struggled offensively for the most of the season and things came to a head last week when quarterback was replaced in their 21-20 win over woeful Jacksonville. Houston have not scored more than 27 points in any game this season and while running back Lamar Miller has chalked up more than 1,000 rushing yards, he has scored just five touchdowns. He is struggling with an ankle injury and despite the fact the Bengals have won just six matches, they should have the stronger offence, especially as they are due to welcome backwide receiver AJ Green from a four week absence. It would be difficult to see the Texans keeping up if Cincinnati find their rhythm, especially as Pittsburgh are the only team to have scored more than 21 points against them in the last six weeks. Cincinnati The Bengals should welcome back wide receiver AJ Green, who has missed the last four matches with a hamstring injury. However, tight end Tyler Eifert is struggling with a back problem. Houston Running back Lamar Miller has been nursing an ankle injury this week. Tom Savage will start at quarterback.